Mixed Herbs, Ground pepper and salt for seasoning. Take a colourful plate and place the crackers. 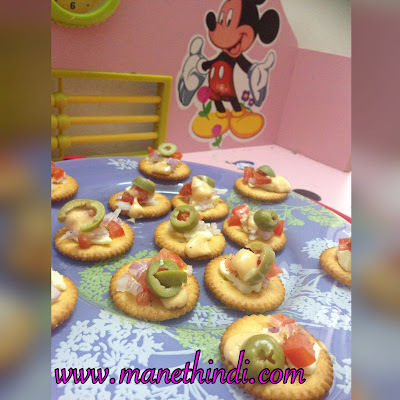 Take bits of cheese and place them on the crackers. Carefully take finely chopped veggies and top them on the cheese. 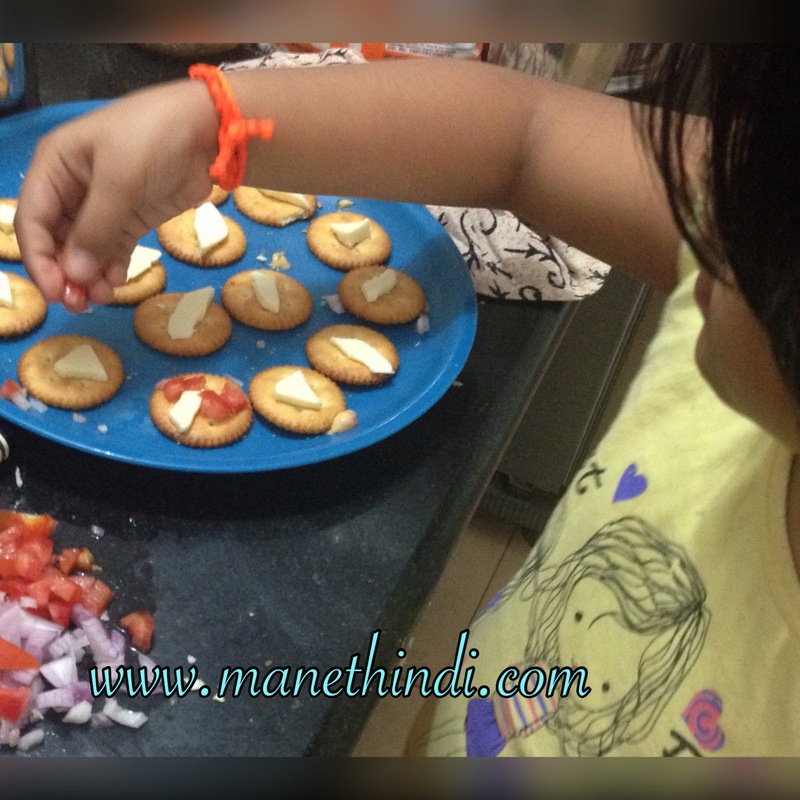 A drop of mayo/tomato ketchup also can be used on each cracker to make it look/taste good!